Keyword analysis is one of the most important steps in any search engine optimisation marketing campaign. Finding the right keywords for your company doesn’t just give ideas on what you can write about when you’re planning your blog posts. The right keyword strategy also ensures that you can strengthen your connection with your audience by responding to their interests and ranking high in the search engine results for the right phrases. Remember, organic traffic is still a critical component of online success. 75% of internet users will never scroll beyond the first page of the search results. Though most companies know the value of keywords, many still guess at the phrases they need to rank for. Here are just some of the benefits of searching for stronger, more competitive keywords. More engaged audiences: The online world thrives on content. Hubspot studies show that companies with blogs have up to 55% more visitors. However, you can only see the right results if your content is relevant and engaging. Meaningful content built on top of keywords will keep your community coming back for more. Increased conversions: Not only does keyword-driven content attract visitors, but it improves your chances of attracting the right prospects too. With the right terms, you attract qualified traffic, ready to take the next step in the buyer journey. Higher organic search rankings: The most obvious benefit of great keywords is a stronger ranking in the search engines. Placing keywords properly throughout your business site improves your crawlability and helps to attract new visitors. The more people can find you, the more likely you are to meet your profit goals. Find new Markets: Keyword analysis can even help you to tap into markets you never considered targeting before. Long-tail keyword phrases allow you to connect with niche audiences. What’s more, according to SEOMoz, long-tail search currently makes up about 70% of all search traffic. Improve your ROI: Finally, identifying which keywords improve your bottom line, and which aren’t working for your business should help you to decide where to spend your time. Analyzing your keywords helps you to improve ROI by focusing your budget in the right areas. So, now you know why keyword research is so important, it’s time to look at some of the keyword tools for 2018 that will help you to get your business found online. When you’re first starting out in the world of SEO, what better place to go to for help than one of the biggest search engines in the world? The Keyword Planner by Google AdWords is constantly updated and improved to give users a better experience, complete with the most accurate data. The Google AdWords (actually renamed to Google Ads starting on the 24th of July 2018) keyword planner is designed to help you reach the right customers at the right time. Big information to help you decide how you should use your ad spend. To start, all you need to do is search for a keyword, and you’ll receive a host of data about average search volume over the last twelve months. Perhaps the best thing about the Keyword Planner, is the number of related search queries it provides – ideal for generating ideas for your content strategy. Next, we come to a tool that’s designed to give you an edge over the competition. 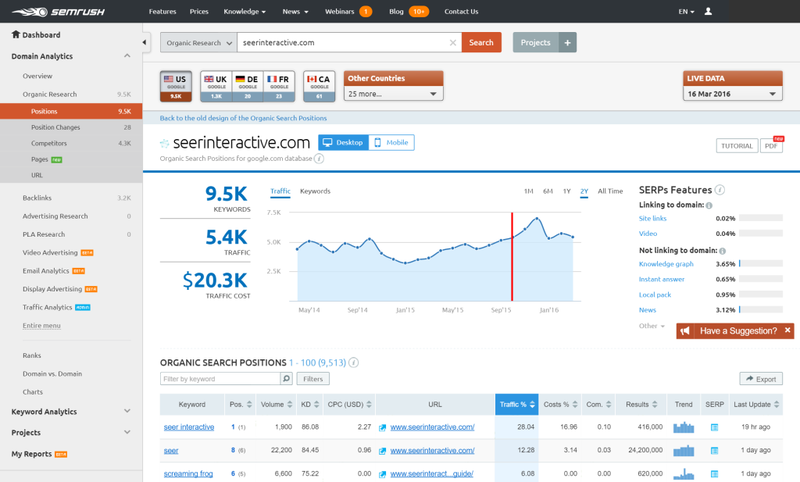 SEMRush provides plenty of information about what your competitors are doing to boost their keyword ranking strategy. Sometimes, the best thing you can do when you’re trying to reach your audience online is start by looking at the competition. A host of free tools to help you track and improve both your organic and paid search campaigns. 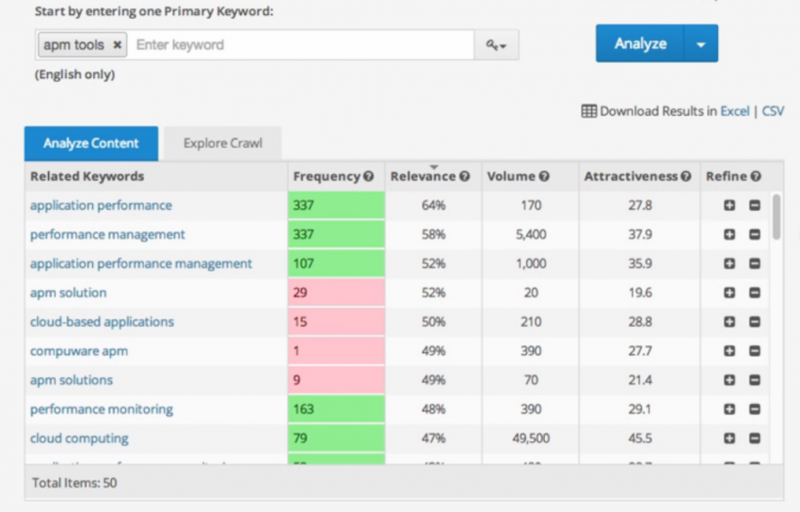 Insights into keyword difficulty, CPC, estimated search results and more. All you need to do is put your competitor’s URL into the search bar, and you’ll get a handful of keywords that they’re ranking for organically, as well as access to information about their paid campaigns. Ahrefs has been a reliable way for companies to analyze backlink data for years now – but it’s important to remember that its keyword tool has a lot to offer too. With Ahrefs, you can go far beyond simply checking the average search volume for your chosen keywords with metrics all the way from estimated clicks and global volume, to keyword difficulty. Provide parent topics for your keywords, which means that you can look for broader ways to target specific niche spaces. Offer insights into related terms to give you content creation ideas for your campaigns. All you need to do is type the keyword you want to rank for at the top of the page in the search bar, and you can start investigating your terms instantly. Although Ahrefs isn’t free, it’s worth the investment for those who want to get ahead in SEO. Offers the opportunity to upgrade to a paid plan so you can regularly track the keywords your competitors use. All you need to do is type your competitor’s URL into the SpyFu search bar, and you’ll get all the information you need in an instant to start supplementing your keyword plan. SEO experts around the world love KWFinder for its exceptional keyword research capabilities. Not only does KWFinder come with services to help you build your keyword strategy, but it can also assist with SERP analysis, backlink evaluation, and more. Important keyword trends over the last twelve months, and search volume over the last twelve months. SEO difficulty – the score is unique to this platform, so it’s a great way to get a second opinion on other tools. It’s also one of the most accurate keyword difficulty tools in the business. To use KWFinder, all you need to do is type in the topic or keyword you’re interested in, and you’ll get handy graphs and visuals to help you understand which route your campaign should take. The Moz Keyword explorer came into the limelight in 2016, with one of the most impressive interfaces the industry has seen. The clean and colorful platform is simple to use – which is great if you’re just getting started in your search engine strategy. Simply input a keyword, and you’ll instantly receive a colorful interface in return. Check out the SERP analysis section for extra insights into the PA and DA of your competitors. There are plenty of great tools out there designed to give you keyword ideas for your website – but you need more than just a handful of relevant terms to excel online today. 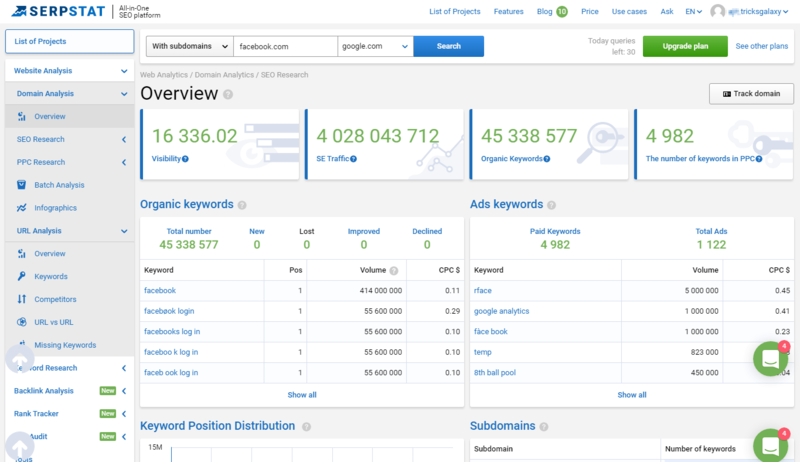 Ideally, you’ll need a keyword tool that gives you the maximum number of monthly searches, while also ensuring you don’t have to over-spend on your ad campaign. LongTailPro can help with this. See crucial metrics about the competition level, rank value, and search volume for your keywords. Explore longtail semantic keyword phrases that can help you rank better in a world obsessed with things like voice search. To use LongTailPro, all you need to do is choose a category that you want to find keywords for or add your own campaign with a specific set of keywords. You can then calculate keyword competition scores and check out CPC averages too. SerpStat is a comprehensive SEO tool designed to help you get the most out of your online presence. Keyword research is just one of the tools that SerpStat offers, and it’s a great way to start building up your content strategy ideas and finding out more about your competitors. Provides related keywords that share similar pages in the SERP. This will help you to expand your keyword strategy. 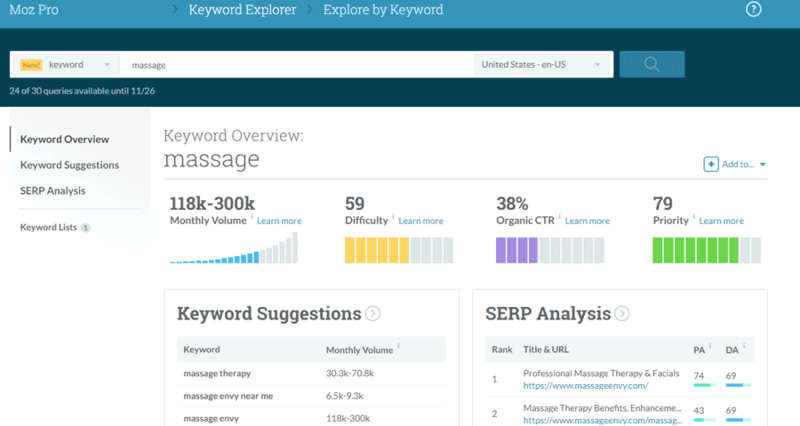 Offers access to missing keywords – the phrases that your competitors rank for, but you’re not currently competing for. The best way to collect your keywords with SerpStat is generally by exploring your competitor’s campaigns. However, you can simply type a keyword into the search bar instead if you prefer. Best of all? It’s free! As the digital world evolves, the potential of keyword research tools seems to evolve with it. MarketMuse is a particularly impressive AI-powered research solution that improves your content creation and optimization strategies so that you can enhance your organic search ranking. Provide you with insight into gaps in your keyword and content strategy, therefore allowing you to reach new customers. Give you a free trial run before you commit to the paid tool. Like most keyword search tools, you simply need to enter your focus topic into the search bar to get started. You can also add competitors into the search to see how your campaign compares to other people in your industry. If you need evidence that this tool works, how about the fact that Neil Patel’s content team managed a 100% increase in ranking keywords when using it? Finally, if what you really want out of the best keyword tools for 2018, is something that will help you to overcome your writer’s block, Answer the Public could be the solution you’re looking for. All you need to do is choose a language, input a keyword, and search for the questions that your customers are asking about your industry, product, or business. Insights into the colloquial language your audience uses during search. Just add a topic into the search box, and your questions will be presented to you in a flower-like graph, ready to inspire and focus your writers. If you’re an accounting software company, then it’s easy to assume that you’ll need to rank high for the words “accounting software” on Google. However, if you really want to get the most out of your investments, then you need to go beyond this simple assumption and dive deeper into the nuances of keyword research. The tools we’ve highlighted above should help you to get more out of your keyword campaigns and start strengthening your position on the search engine result pages.